Sometimes you just have to say WOW! 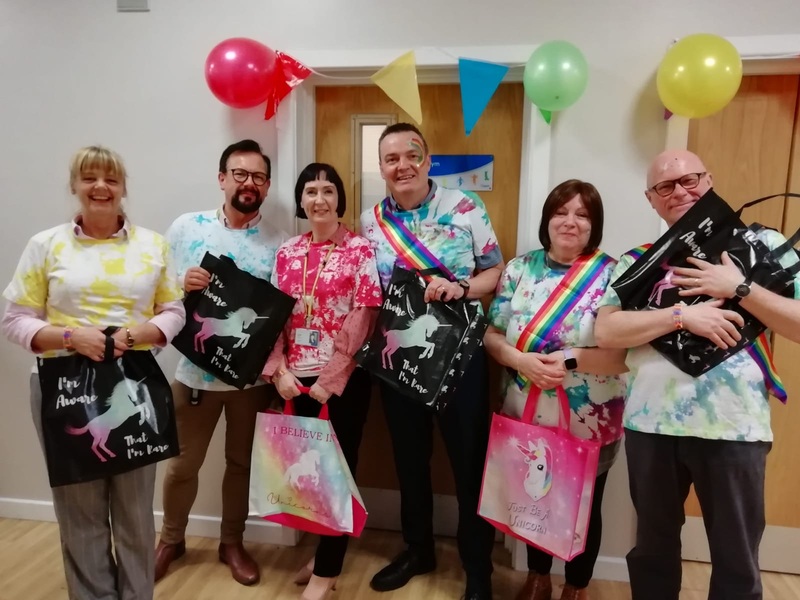 Today, I attended the award party for Cygnet Healthcare’s Unicorn ward (it was called Haven but the young people of the ward preferred Unicorn – and they changed it). I can honestly say I was overwhelmed with admiration for what they have done. 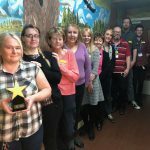 Not just me – Hospital Manager Hilary Martin, Clinical Director Paul Bentham, Ops Director Fiona Holden, Regional nurse Director Nick Horne and Exert by Experience Iris Benson were all there to celebrate (and eat the cake Iris made for the ward). But most of all, they had a fabulous community spirit. I met the amazing Housekeeper chatting to the wonderful Consultant passing out cakes to the incredible support workers who were laughing with the brilliant young people and a compassionate mum. 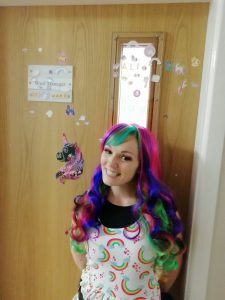 They were all dressed in rainbow wigs, “COLOURFUL” themed tee shirts and wearing huge smiles. 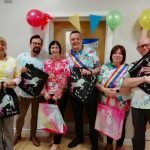 There was good natured banter (including me being asked to say “my name is Geoff” in a range of accents), huge Unicorn balloons and we all got a unicorn party bag. It was amazing, heart-warming, humbling and inspirational. I have never been to anything quite like it. 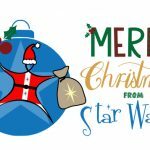 The ward manager of Unicorn, alongside the leadership team have led this from the front (or from the horn, if you will), but the young people have moulded and shaped it. 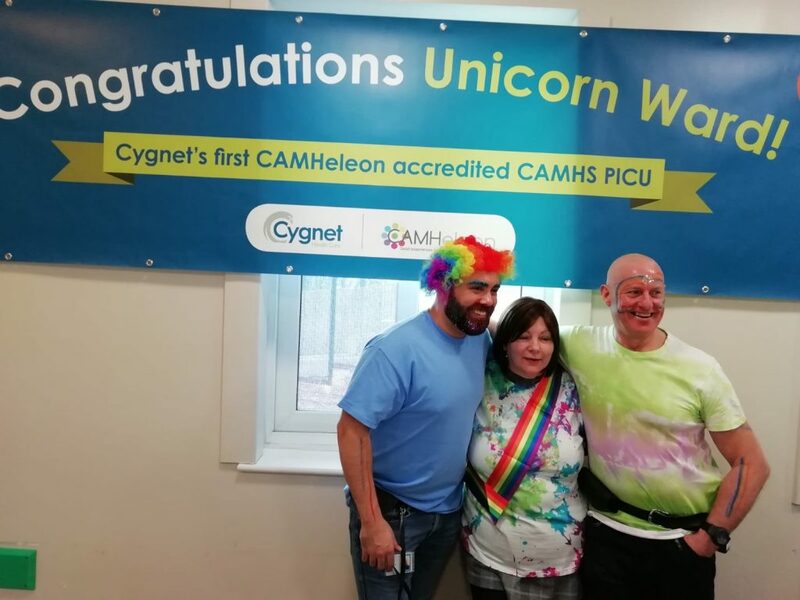 This is the first ever CAMHeleon award for a PICU, and I tell you, world, the bar has now been set very, very high.